ABH Has released another stunning palette to close out 2015! And it’s perfect for the holiday season which is upon us (I have mixed feelings because of the weather). The palette consists of 14 shades. 2 mattes, 2 titaniums, 4 metallics, 2 sparkle shades, 2 chrome finishes, 1 velvet shade and 1 satin shade. La Splash Cosmetics has released a beautiful array of matte lipsticks!! 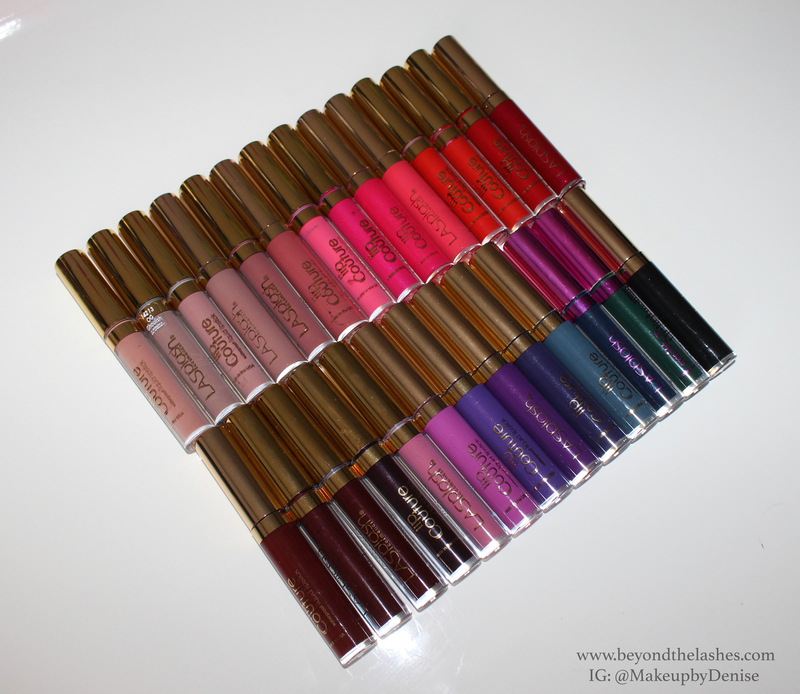 They are reasonably priced and comparable to some higher end liquid lipsticks. Find Swatches for my entire collection below (click on each picture to enlarge). Most of the shades require one layer, however some tend to be slightly patchier and require an extra layer to achieve an opaque look. The drying time is between 3-5 minutes. These are my favorite eyeliners of the year. Whether you are a pencil, gel or liquid girl. I have included a higher end option along with a drugstore choice for everyone’s budget. One of the hardest makeup products to find is the PERFECT foundation. It’s ironic because there are literally a million different companies that offer a wide range of shades and formulas, which I think adds to the frustration of “Where do I even start looking?”. Before I was a makeup artist I tried a ton of different foundations trying to find the formulation for my own skin. They either made me break out, oxidized and turned orange, or would slide around after a few hours. After years of searching I have finally found a few different foundations that worked for me and also made it into my makeup kit. But before we get into those, let’s talk a little bit about skin types and picking the right foundation.